During and after pregnancy, your body will undergo substantial changes. One of these changes often includes hair loss that may result in different degrees of shedding. While shedding is often alarming, for most women, it is only temporary. However, for those who are experiencing excessive hair loss, do not see regrowth, or would like professional assistance to manage their experience with hair loss and pregnancy, True and Dorin Medical Group can provide the resources, evaluation, and treatment you need. Our team has successfully treated all ranges of hair loss for our patients in New York, New Jersey, and Boston, and we are confident we can do the same for you. Dr. Robert J. Dorin and Dr. Robert H. True are exceptionally qualified to provide the care you need to overcome postpartum hair loss. 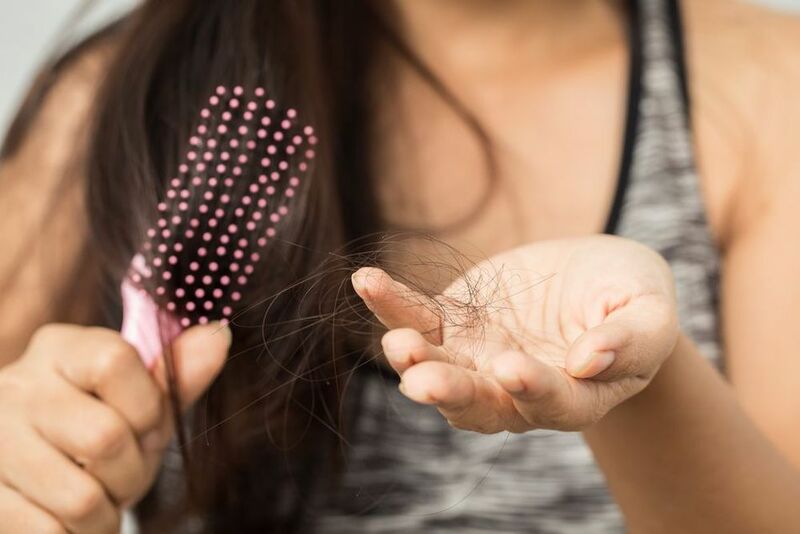 Estrogen plays an integral role in hair growth, which is why many women experience an extra thick head of hair during pregnancy followed by increased hair loss several months after giving birth. While you are pregnant, there is a significantly higher amount of estrogen in your body which interrupts the natural hair loss cycle and causes more of your hair to remain in the growth phase. As a result, it delays some of the hair from falling out. Once hormone levels return to normal, the hair cycle will resume and those hairs will fall out, often all at once. About three to four months after giving birth, many women begin to experience hair loss. This can occur all over the head or in concentrated clumps around the center part. While the condition may resemble androgenetic alopecia, or pattern balding, for many women the effects are only temporary. Within six to twelve months, regular hair growth is usually restored. What Can I Do to Manage Hair Loss? If you are interested in concealing your condition temporarily, you may consider changing your hairstyle, choose to wear a wig, or change your grooming habits. Our dedicated doctors have the resources and advanced treatment options you need to help overcome postpartum hair loss. While postpartum hair loss is usually temporary, for some women, it can evolve into a progressive and permanent condition. In these cases, we have diverse treatment options specifically tailored for women's need. Our doctors can recommend a prescription, procedure, or combination of treatments that will help to restore your hair to a thick, healthy-looking state. At True and Dorin Medical Group, we believe in an individualized approach which takes into account your unique lifestyle, concerns, and treatment goals. Dr. True and Dr. Dorin are experienced professionals who care about their patients and will provide treatment that is ethical, discreet, and serves your best interest. If you want to plan for postpartum alopecia or are concerned about ongoing hair loss after pregnancy, contact us online or call us at (866) 629-0866.